ICANN's New gTLDs Program, designed to increase competition and choice on the Internet, enourages trademark holders to register with the Trademark Clearinghouse to protect their rights. 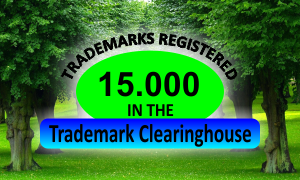 Trademark Clearinghouse’s spokeperson confirmed almost 15,000 trademark registrations within the new gTLDs program. Most registered trademarks have the average of two labels and have been registered for more than one year. Registration options offered by the TMCH include one-, three- or five-year periods. Trademarks using non-Latin scripts currently constitute just 3% (about 450) of the registrations. Being the first in line to enter Sunrise periods, internationalised gTLDs may remain under a careful scrutiny. According to the TCMH spokesperson, “previously abused labels” (referred to formerly as the Trademark+50 policy) currently represent “low” number of registration due to the recent launch of the service. Web Solutions is an accredited agent with the Trademark Clearinghouse and offers Managed Submissions Service that streamlines the process of collecting, submitting and managing the trademark data to the TMCH, including declaration of use and proof of use. Our Submission Service is fully managed so you can be certain that an agent assigned to you ,with minimal documentation, will handle the validation process on your behalf in a professional and thorough manner. To find out more about our Managed Submissions Service contact our Support Team at support@web-solution.eu or via phone on +44 (0) 208 133 3994.